Login to your Bigcommerce account. Click Settings in the left-hand side menu. 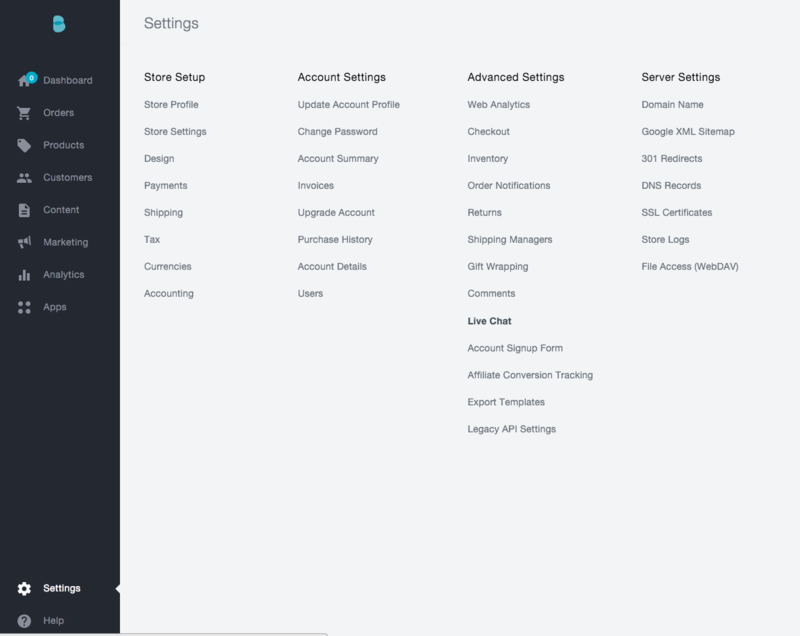 Select Live Chat from the Advanced Settings column. Select Other Third Party Live Chat Service from the list. Click Save in the bottom-right corner. A new tab named Other Third Party Live Chat Service will appear. Click on it. Paste your Sugester live chat embed code into the field provided. Done! You can start chatting with your Bigcommerce web store customers.